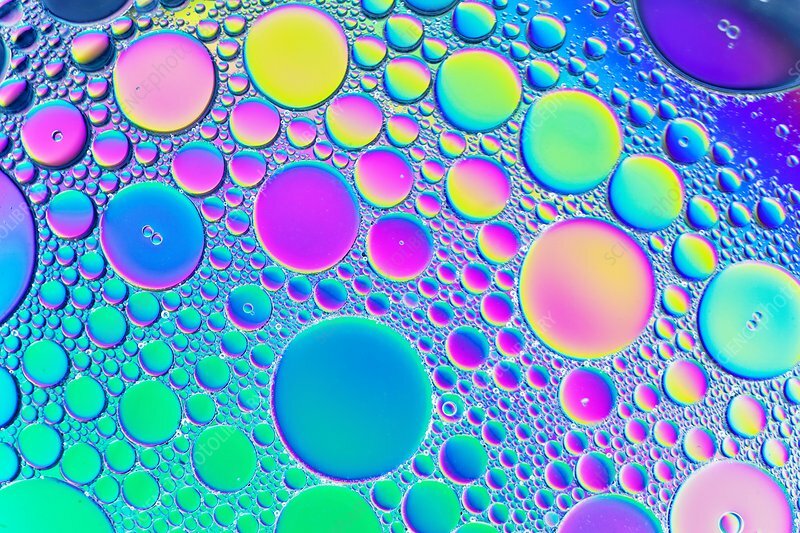 Macro photograph of oil resting on top of water. Oil and water do not mix as the oil molecules have a lower density than the water molecules and so float on top of the water. Image taken using polarised light to create a colourful background to the patterns created by the oil and water.